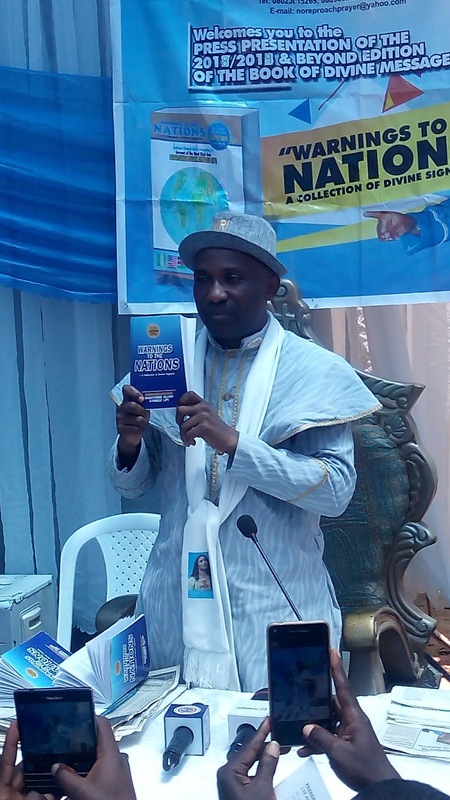 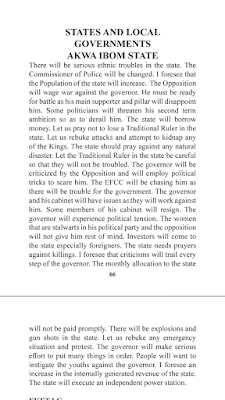 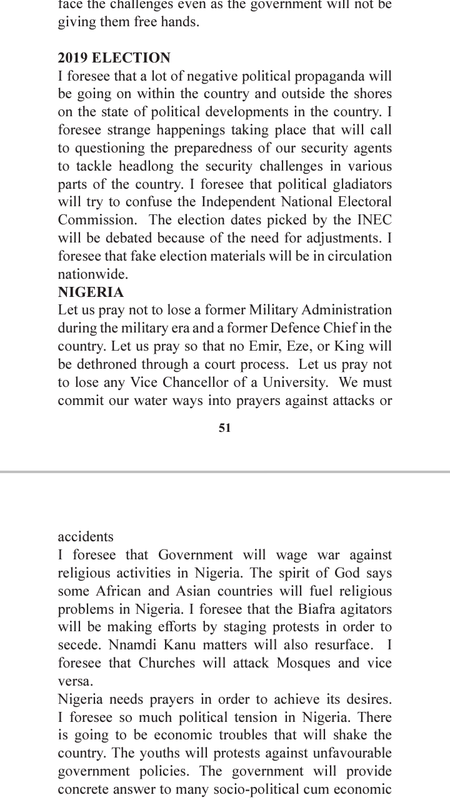 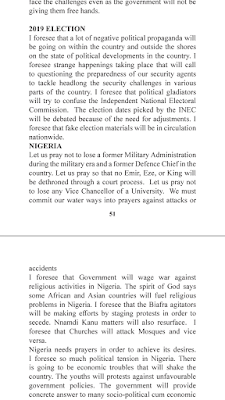 In his 2018/2019 edition of the Book of Divine Message called, "Warnings To The Nations" revered Prophet and philanthropist, Primate Elijah Babatunde Ayodele, who is presiding over one of the most devoted Christian congregations in Africa, INRI Evangelical Spiritual Church, Ejigbo, Lagos State, gave some warnings and predictions that has come to pass few months into the year. 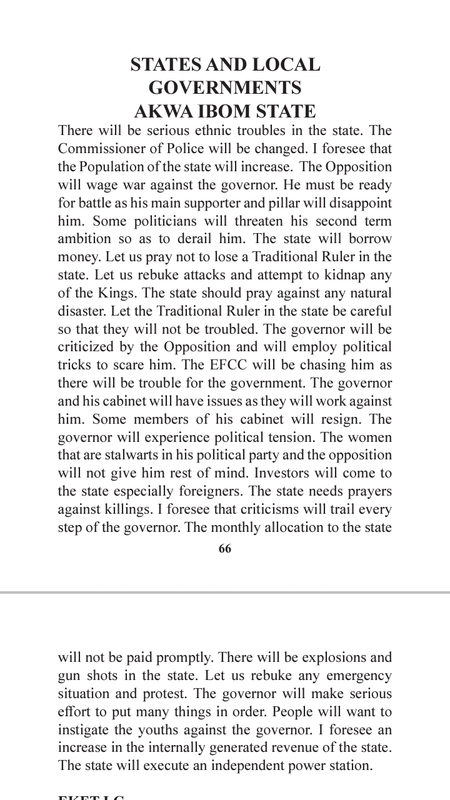 Here are some of his fulfilled prophecies screen grabbed from the book. 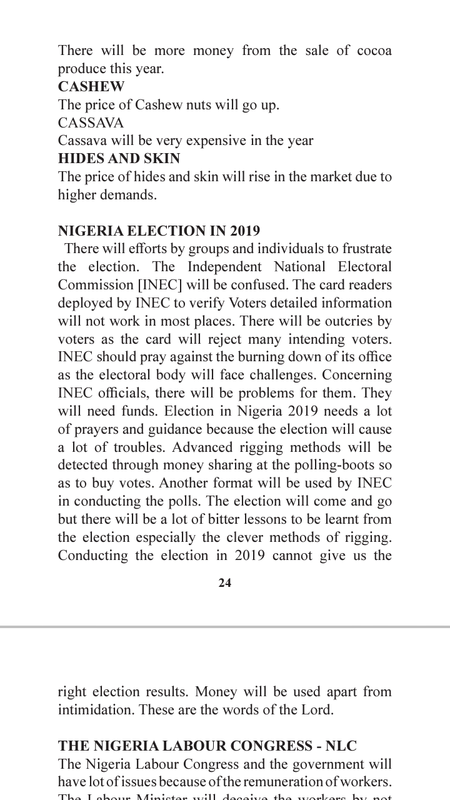 It will be worthy to note that when he warned about the impending postponement of the 2019 general elections in Nigeria, his warnings were not yielded because of so many fake prophets in the country. 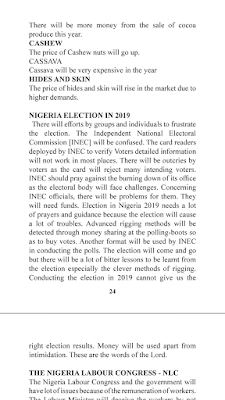 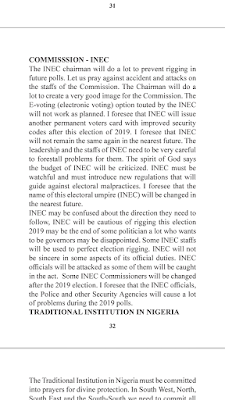 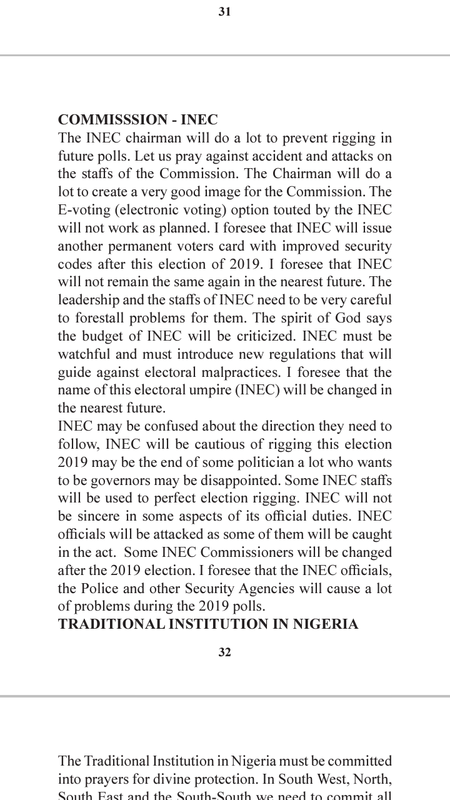 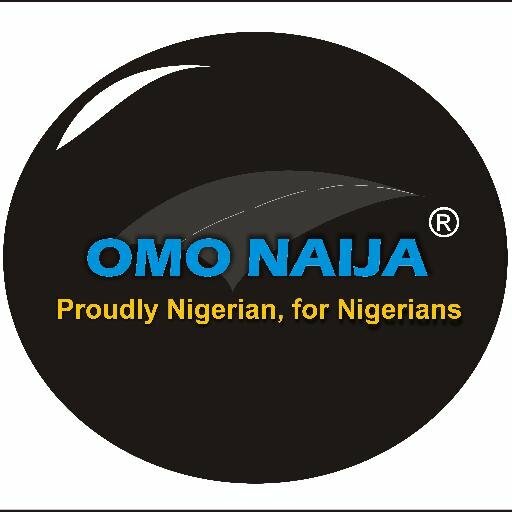 But, the sudden shifting of the presidential and national assembly elections slated for Saturday, 16th of February, 2019 by the Independent National Electoral Commission (INEC) to March 23, 2019 as foretold by servant of God vindicated him and also boosted his credibility as number one soothsayer in the country.